Sometimes you might have ideas on what could make the best decoration in your house. This involves coming up with a personal project involving renovating the house. There is no doubt that you will need a laser system to help you with aligning the various materials correctly. You want at the end of the work, you feel it was worth it doing the project. It is the reason you need products such as the Johnson 99-028K Rotary Laser System. This self-leveling rotary laser level is suitable for both DIY-ers and contractors. It has been trusted and highly recommended by many users for its versatility and well-built quality. From many users’ experience, the Johnson 99-028K Rotary Laser System has its own advantages and drawbacks. Think of the times you might have used other types of indoor or outdoor laser leveling systems and you took more time just to get it working. Things are a bit different with this model. 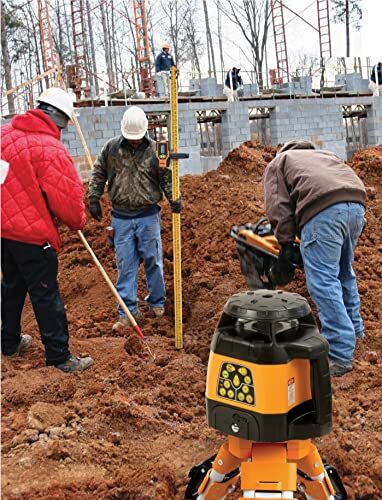 The Johnson 99-028K Self-Leveling Rotary Laser has been made to be easier to set up and start using. The manufacturer has clearly illustrated the setup process and other additional instructions so that you get to use it straight out of the box. Since it can easily level itself on the X and Y axes, you should have an easier time setting it up as compared to others where you had to set it manually. Our experts who have used it agree that this Johnson laser level helped them do better projects than before. 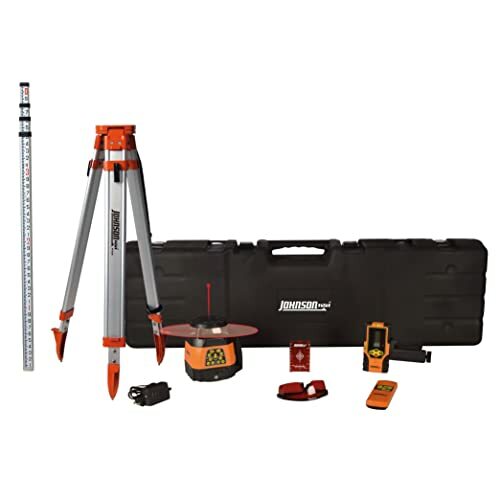 When comparing it to other models that lack the self-leveling feature, you will find that the model to be easy to use thanks to such a feature. This product is supposed to be sensitive and remains that way if there is a chance of having accurate laser guides. It is the reason most of its sensitive parts are protected by using an enclosed beacon. These components would be easily shielded from dirt, water, and grime that might affect their performances. You should always have a model that lasts longer ensuring that you get the value for your money. Most of the manufacturers would have their laser systems being mostly great for the indoors only. This means taking it outdoors might make the laser to be less visible. The Johnson 99-028K is better as it is made to be used for both indoor and outdoor projects. 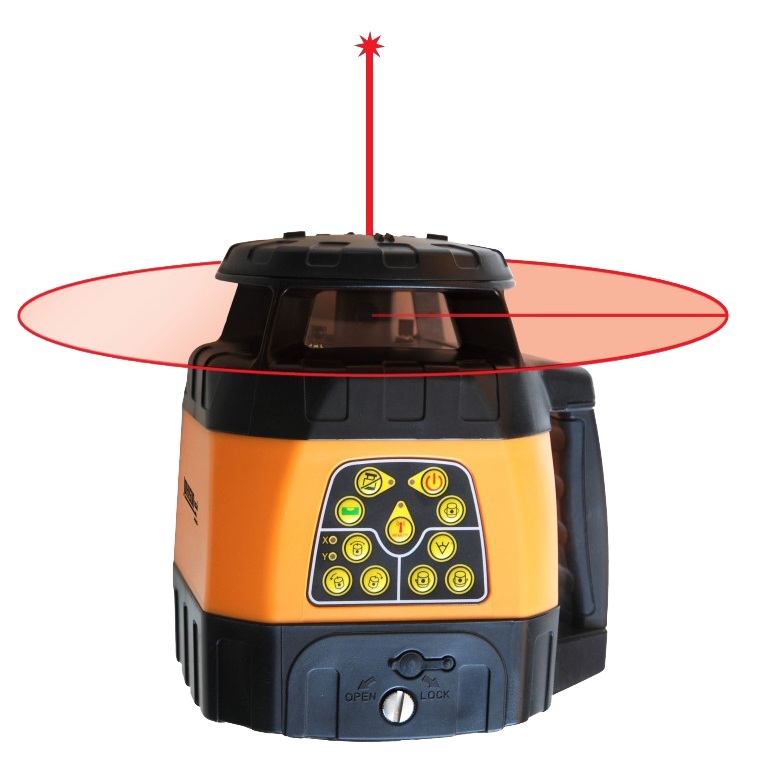 The bright lasers will help you have an easy time viewing them whenever using the product outdoors. That is not all, as the manufacturer made the product to have a durable composite cover or housing. Such durability makes it possible for it to handle different types of job sites containing various hazards. Related: How to Use a Laser Level Outdoor? You would feel that your money was well spent knowing that you have a versatile machine such as this one. 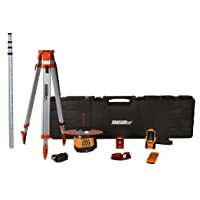 Considered as the best construction laser level, the Johnson Rotary Laser Level Kit 99-028K is configured to operate at different speeds that you might want. It has the speeds of 200, and 500 RPM. Switching from one speed to another is not hard. You can always change the speed to suit the application that you need to handle. Most people would use the higher speeds for outdoors and lower speeds for a better beam visibility. When you get to compare between the Johnson 99-028K and the Johnson 99-006K, the difference is not much. The manufacturer has just made a few tweaks and made this one a new product. One of the improvements is definitely the accuracy. 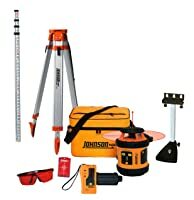 With the Johnson 99-028K, you will get an impressive 1/8”at 100 feet as compared to 1/8”at 50 feet for the Johnson 99-006K model. Another thing would be the slope and auto leveling range. The 99-028K model comes with the leveling range of +/- 5 degrees as compared to the other model, which is 3 degrees on either side. When the 99-028K model lasts up to 24 hours on a single charge, the other model can do about 20 hours. So you have an extra 4 hours of power to handle more applications. As you can see, the Johnson 99-028K Self-Leveling Rotary Laser System comes with a number of features that make it possible for several users to feel its importance. Since you can get to use it more often for both indoor and outdoor operations, you will always feel that it is a valuable tool. If you are a person who loves to do some DIY construction projects, you will find this product useful. Go ahead and get one for yourself if you like it.